In 2012 the Indiana legislature enacted Senate Enrolled Act 182, thereby establishing the requirement for a Statewide Transfer General Education Core (STGEC) of at least 30 credit hours. The statute states that the Core must be based upon a set of competencies in areas agreed upon by the state educational institutions. The Statewide Transfer General Education Core does not change any requirements for a major or other degree objective. If any course within the Statewide Transfer General Education Core which is a requirement for a major or other degree objective at the receiving institution does not meet the grade requirement for the major, the receiving institution may require the student to repeat the course. It is absolutely critical that students work closely with their academic advisors to determine what relationship, if any, exists between requirements for general education and requirements for a specific major and/or other degree objective. 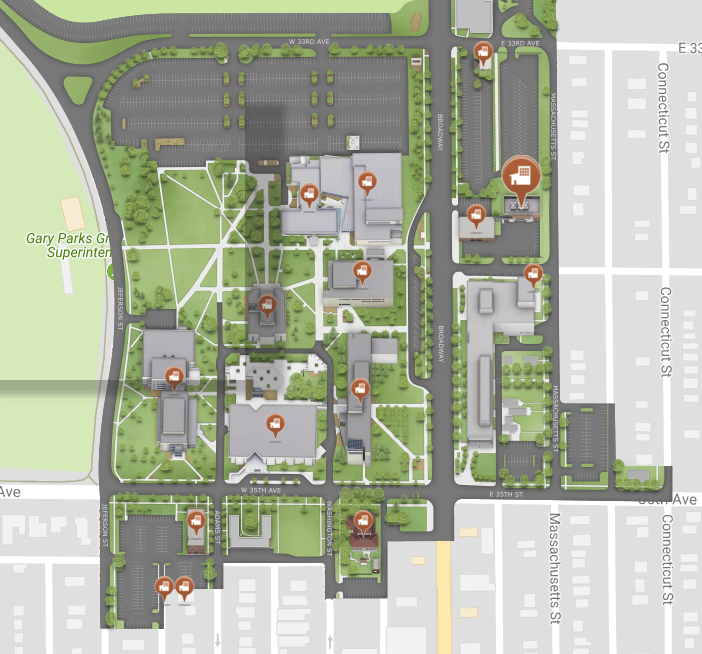 The mapping of the IU Northwest general education requirements onto the STGEC can be found here. More information regarding the STGEC at Indiana University can be found here. Fluency in reading, writing, and oral communication; mastery of the basic principles of logical, mathematical, and scientific reasoning; literacy in information resources and learning technologies. Mastery of the core concepts, principles, and methods in arts and humanities, the social sciences, cultural and historical studies, and the mathematical, physical, and life sciences. Logical analysis and synthesis of information and ideas from multiple perspectives; critical acquisition, integration, and application of knowledge in students’ intellectual, personal, professional, and community lives. The application of the principles of ethics and governance to the larger society, one’s immediate community, and to individual conduct on campus and in society.